The Ox is the 2nd of the 12-year cycle of animals which appear in the Chinese zodiac. 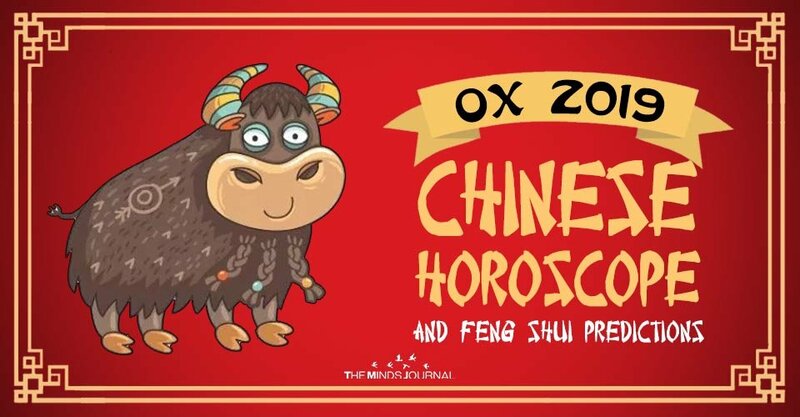 Your “chinese zodiac animal is Ox” if you are born in of these years: 1913, 1925, 1937, 1949, 1961, 1973, 1985, 1997, 2009, 2021. The following are the twelve zodiac signs: Rat, Ox, Tiger, Rabbit, Dragon, Snake, Horse, Sheep, Monkey, Rooster, Dog, Pig. The 2019 Chinese Horoscope for the Ox warns that 2019, the Year of the Pig, is one of major changes in personality and of clarifying many personal and professional aspects. In 2019, sentimentally, those born under the Ox sign will go through a period as they probably haven’t enjoyed in a long time, full of peace, quiet and well-being in the relationship of the couple and in everything that means developing partnerships and important relationships. Wood Ox 1925, 1985 You have To Work Harder in 2019! Fire Ox 1937, 1997 Give your best to make everyday a little better ! Metal Ox 1961 Set new goals every day ! Earth Ox 1949, 2009 In 2019 try to sleep more to be a happier person ! Water Ox 1913, 1973 A year without much progress, no clear targets and a lot of waste of energy ! Both Ox and Pig are farm animals, which share the same territory and have no reasons to hate each other or to be rivals. This facilitates a good understanding between the natives, so it is expected for 2019 to be a generally auspicious year for the Ox. In 2019, the hard work, the calm and the patient nature of the Ox native will ensure a rich “harvest” and significant achievements, as long as the natives don’t allow themselves be carried away by an excessive stubbornness. During the Earth Pig Year of 2019, the Ox natives have the chance of obtaining recognition in the public life, to delight in the spotlight, to persuasively express their interests and their ideals, provided that they have mastered their emotional sensitivity, which is sometimes really high. They also have the opportunity to participate in numerous social events and to establish new friendships. However, if they don’t renounce their characteristic conservativism, if they don’t try very hard to be on the same wavelength with the circumstances and with the innovative people, they will deny themselves some important advantages. Moreover, it is necessary to be as flexible as possible and to make compromises, truces, instead of launching in unproductive battles. There is no way for the Ox natives to focus on ambitious long-term plans professionally, but they can maintain themselves afloat due to their practical sense, which is characteristic to their personality, due to their perseverance and their willingness to collaborate with the people around them. Thanks to the good understanding between the Pig and the Ox, the latter seems to have the possibility of laying the foundation of a new love relationship, standing under the sign of an intense mutual attraction, a relationship facilitated by a happy interaction in the social circle. The natives who are already involved in a love relationship will have the chance to consolidate it, to deepen it, which could eventually lead to marriage. The married natives might get blessed with the birth of a long-awaited child. The Ox natives are compatible with the Snake and the Rooster. They are going to have a great relationship both in love and in business. They complete each other wonderfully on all levels. The Ox zodiac sign is not compatible with the Goat. Basically, they have common interests, but life can tear them apart if they choose different paths and if they don’t offer support to each other. It can be placed in the living room, southward, for harmony in the family life. For the single natives, it is also recommended to use this remedy, which ensures finding a loyal and loving life partner. Although in the Earth Pig New Year of 2019 the Ox natives seem to have an iron health, it is necessary to supervise their predisposition of being caught in the trap of depression or some extreme emotional reactions and to make periodic medical checkups. It is also necessary to pay attention especially to affections related to their respiratory system, throat, and stomach. Towards the end of 2019, nothing important to report health-wise provided that the Rat natives control their tendency to overeat. It would be best if they keep a diet starting from the beginning of the new Chinese year, and this effort will ensure a better shape. The Ox natives also need to think of practicing a sport with regularity, but without exaggerating or overburdening their cardio-vascular system. In the South-West sector, it is best to place plants and flowers, small apartment trees, bonsais trees, Bamboo chimes or images with trees, plants, landscapes because all there are symbols of prosperity. In 2019, the Feng Shui experts recommend the Crystal Red Apple, as a Feng Shui remedy. In Feng Shui, the apple is considered to be the fruit of peace and it represents the main ingredient for attracting harmony, health and for forming happy and stable couples. It is of great importance to have in the house a Wu Lou in the corner of the flying star 2 – the star of diseases, in order to protect yourself and to fight against negative energies that might affect the health of the entire family. You can place a Wu Lou on the nightstands, on each side of the bed, in order to improve the health and to avoid the action of any negative energies. If one of your family members gets sick, a Wu Lou placed near the bed can speed up the healing process.